Well I have ordered new coil packs , new heat shields and spark plugs to fix my intermittent poor start ups and lumpy running, my local indie says that its defo a coil pack on its way out !!! . I intend to put the car on axil stands and work with the back wheels removed. I just need a bit of advice on getting the car onto the axil stands ?? 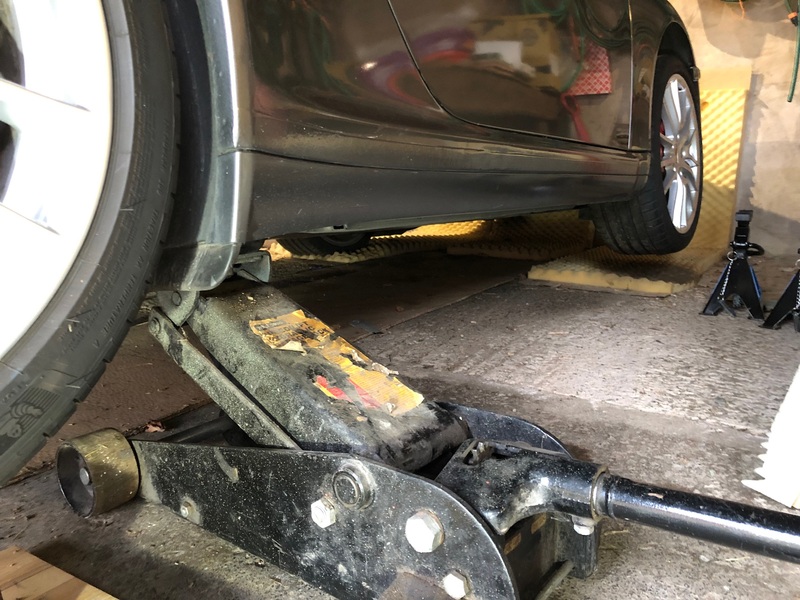 The problem is obviously only 4 jack points, so anything other than jackpoint jackstands, rennstands etc is going to be a bit Heath Robinson. You might consider this system. Jack up drivers side rear JP first and this will lift the the entire drivers side. Place 1st Axle stand under front JP, release down and then jack up via rear sub frame on same side to then place Axle stand under rear JP on drivers side. Next repeat on near side and job done. I swear that's the only Lapis blue 997T in the world!!! Very useful Nick - thanks. If you look under the chassis rails there are four oval (ish) holes, your jacking pads fit in these, then you jack on the pad (think hockey puck with locating pin) you can buy the jacking adaptors on ebay. 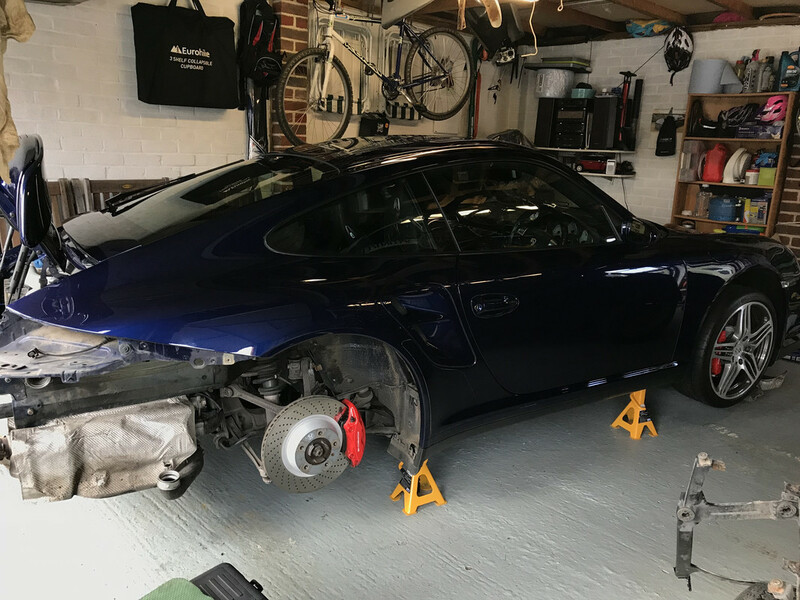 Search Porsche jacking pads. I have mine on stands now and used this exact method. Here you can see the front wheel in the air when jacking on the rear jacking point.